"Copyright Holder" means the individual(s) or organization(s) named in the copyright notice for the entire Package. "Contributor" means any party that has contributed code or other material to the Package, in accordance with the Copyright Holder's procedures. "You" and "your" means any person who would like to copy, distribute, or modify the Package. "Package" means the collection of files distributed by the Copyright Holder, and derivatives of that collection and/or of those files. A given Package may consist of either the Standard Version, or a Modified Version. "Distribute" means providing a copy of the Package or making it accessible to anyone else, or in the case of a company or organization, to others outside of your company or organization. "Distributor Fee" means any fee that you charge for Distributing this Package or providing support for this Package to another party. It does not mean licensing fees. "Standard Version" refers to the Package if it has not been modified, or has been modified only in ways explicitly requested by the Copyright Holder. "Modified Version" means the Package, if it has been changed, and such changes were not explicitly requested by the Copyright Holder. 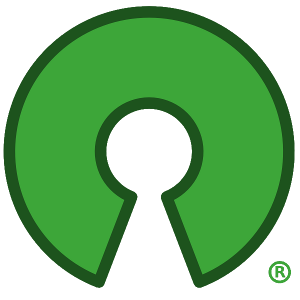 "Original License" means this Artistic License as Distributed with the Standard Version of the Package, in its current version or as it may be modified by The Perl Foundation in the future. "Source" form means the source code, documentation source, and configuration files for the Package. "Compiled" form means the compiled bytecode, object code, binary, or any other form resulting from mechanical transformation or translation of the Source form. (5) You may Distribute Compiled forms of the Standard Version without the Source, provided that you include complete instructions on how to get the Source of the Standard Version. Such instructions must be valid at the time of your distribution. If these instructions, at any time while you are carrying out such distribution, become invalid, you must provide new instructions on demand or cease further distribution. If you provide valid instructions or cease distribution within thirty days after you become aware that the instructions are invalid, then you do not forfeit any of your rights under this license. (13) This license includes the non-exclusive, worldwide, free-of-charge patent license to make, have made, use, offer to sell, sell, import and otherwise transfer the Package with respect to any patent claims licensable by the Copyright Holder that are necessarily infringed by the Package. If you institute patent litigation (including a cross-claim or counterclaim) against any party alleging that the Package constitutes direct or contributory patent infringement, then this Artistic License to you shall terminate on the date that such litigation is filed. (14) Disclaimer of Warranty: THE PACKAGE IS PROVIDED BY THE COPYRIGHT HOLDER AND CONTRIBUTORS "AS IS' AND WITHOUT ANY EXPRESS OR IMPLIED WARRANTIES. THE IMPLIED WARRANTIES OF MERCHANTABILITY, FITNESS FOR A PARTICULAR PURPOSE, OR NON-INFRINGEMENT ARE DISCLAIMED TO THE EXTENT PERMITTED BY YOUR LOCAL LAW. UNLESS REQUIRED BY LAW, NO COPYRIGHT HOLDER OR CONTRIBUTOR WILL BE LIABLE FOR ANY DIRECT, INDIRECT, INCIDENTAL, OR CONSEQUENTIAL DAMAGES ARISING IN ANY WAY OUT OF THE USE OF THE PACKAGE, EVEN IF ADVISED OF THE POSSIBILITY OF SUCH DAMAGE.